Bread is both the newest and the oldest fermentation experiment, and today’s most forward-thinking food artisans are once again obsessed with it. There’s the Los Angeles baker who makes some of the best bagels we’ve ever had, and the former civil engineer making Nordic-style loaves in industrial Brooklyn. 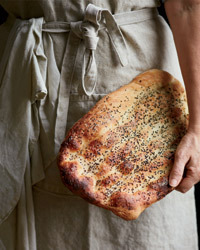 Now that naan is at the corner store, American bakers are tackling other kinds of flatbreads from around the world, like the crisp and chewy Persian nan-e barbari. 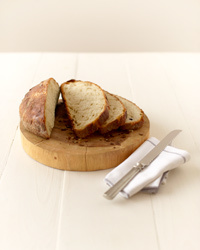 Read on for easy bread recipes and irresistible breakfast dishes that put those loaves to good use: maple-bacon bread pudding, frittata sandwiches, brown sugar French toast and more. It’s become relatively easy to find naan at supermarkets, but soon enough, we could be buying bags of Moroccan m’smen: Overlooked flatbreads from around the world are the baking world’s new fixation. At San Francisco’s Bar Tartine, chef Nicolaus Balla makes discs of langos, a Hungarian fried bread, while Minneapolis’s Rustica Bakery serves the lightly sweet cañadas de azucar, a Spanish-inspired flatbread made with olive oil and sugar. 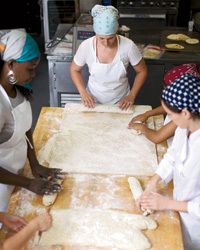 Producing what might be the most diverse selection of flatbreads is New York City’s Hot Bread Kitchen, which sells a wide assortment that includes the aforementioned m’smen (a buttery, flaky flatbread) and two Persian flatbreads, one sweet (nan-e qandi) and one savory (nan-e barbari).